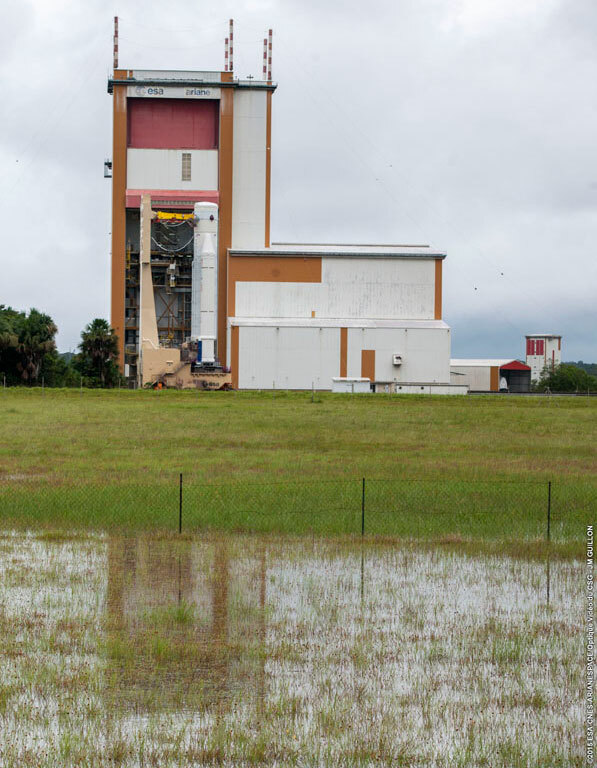 Arianespace is keeping up the mission cadence at its French Guiana base of operations with the acceptance of another heavy-lift Ariane 5, which now is being readied for the integration of a dual-satellite payload to be orbited in July. Riding atop one of two operational launch tables at the Spaceport, the Ariane 5 for Flight VA224 nears completion of its transfer to the Final Assembly Building. The Ariane 5 was moved yesterday from the Spaceport’s Launcher Integration Building – where it underwent basic build-up – to the Final Assembly Building, formally transferring authority for the vehicle to Arianespace from industrial prime contractor Airbus Defense and Space. 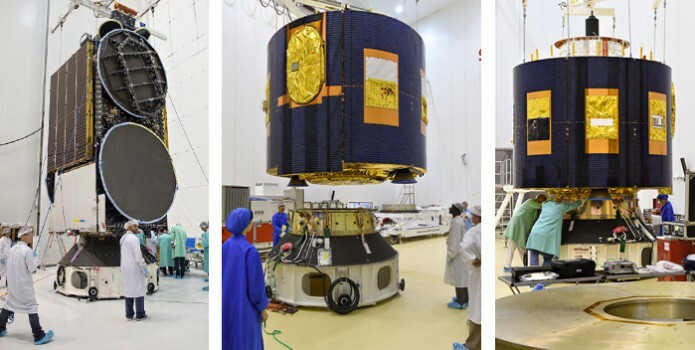 With this Ariane 5 at the Final Assembly Building, it is now in position to receive the mission’s two satellite passengers – Eumetsat’s MSG-4 and Star One C4 for Embratel Star One – which will be followed by final verifications and the subsequent rollout to the Spaceport’s ELA-3 launch complex. Designated Flight VA224 in Arianespace’s numbering system, this upcoming mission represents the 224th launch of an Ariane family vehicle. 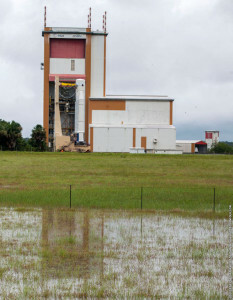 It also will mark the company’s sixth liftoff performed from the Spaceport in 2015 – coming after two each using Ariane 5 and the lightweight Vega (the second of which, Flight VV05, is scheduled for June 22), plus one with a medium-lift Soyuz.